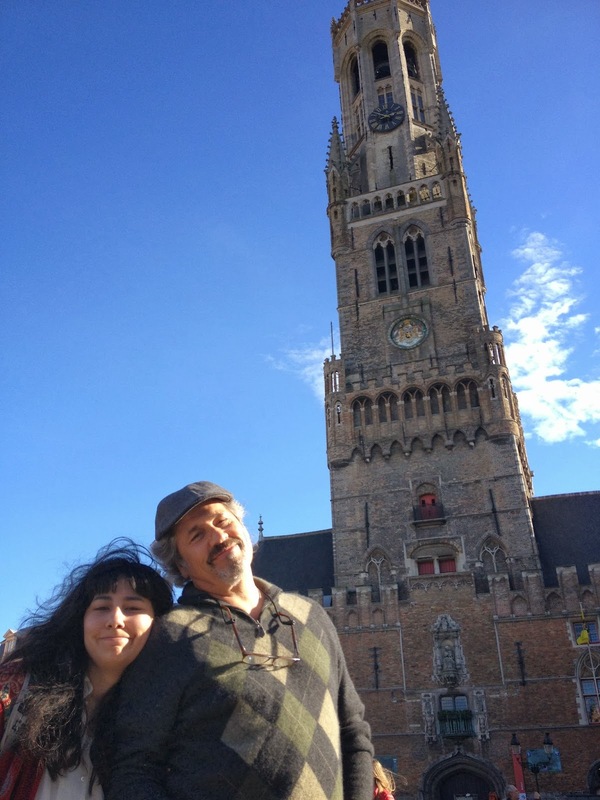 We spent a couple of days in Bruges, Belgium. We decided to visit this city because we remembered the film “In Bruges” (with Colin Farrell) and we wanted to check out the Bell Tower. The movie is worth watching if you like very dark English "dramedy" - just as the city is worth visiting if you are ever in Belgium! On my bucket list is visiting all the great museums of the world. I have a few checked off – Louvre, The Prado, Vatican Museums etc etc. The two museums that I am proud to say I have visited in Bruges were the Frietmuseum and the Chocolademuseum. Museums on the history of the potato but more importantly Belgian Fries, and Chocolate with an emphasis on Belgium chocolate! What a treat (yes museums that pass out samples!). Factoid: The "French Fry" is an expression that came into use during World War I, where some French speaking Belgium soldiers are said to have offered some chips to the American soldiers. The American soldiers thought the Belgium soldiers were French - hence the name "French Fries"! Mix all ingredients together and leave to macerate for one hour before dipping. Time out for more of those Belgium Fries! Oui Wanda, ma petite pomme de terre, the town is so much more than a Bell Tower - Bruges has a fairy tale type feeling of bridges and swans, narrow cobblestone streets, small pubs and a step back in time. You are so right Mr. Potato Head!